LWP1, T2 on LWP2 , and T3 on the runnable queue. At time 1, the scheduler code finishes its work and returns with T3 running on LWP2. it runnable and releases the mutex. Finally, it calls the scheduler. active threads (T3). 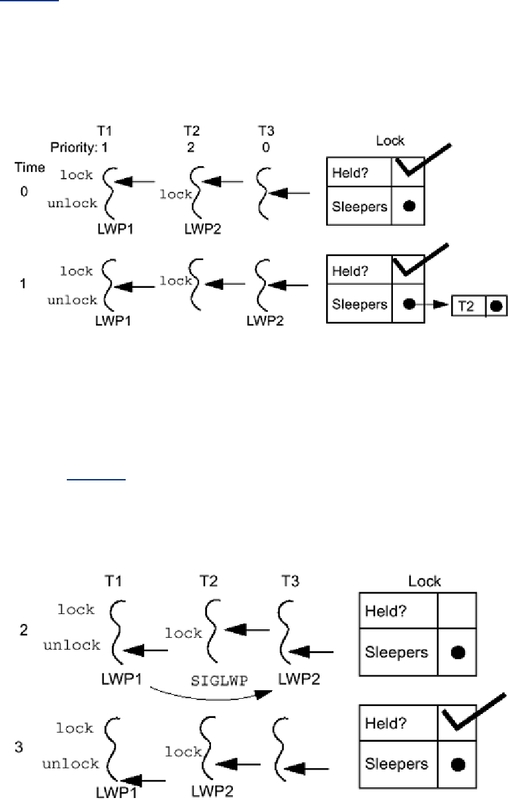 The scheduler then sends a signal in order to preempt the thread on LWP2. world at time 2 (with a signal pending).